Early modern Europe is the period of European history between the end of the Middle Ages and the beginning of the Industrial Revolution, roughly the late 15th century to the late 18th century. Historians variously mark the beginning of the early modern period with the invention of moveable type printing in the 1450s, the Fall of Constantinople in 1453, the end of the Wars of the Roses in 1487, the beginning of the High Renaissance in Italy in the 1490s, the end of the Reconquista and subsequent voyages of Christopher Columbus to the Americas in 1492, or the start of the Protestant Reformation in 1517. The precise dates of its end point also vary and are usually linked with either the start of the French Revolution in 1789 or with the more vaguely defined beginning of the Industrial Revolution in late 18th century England. Some of the more notable trends and events of the early modern period included the Reformation and the religious conflicts it provoked (including the French Wars of Religion and the Thirty Years' War), the rise of capitalism and modern nation states, widespread witch hunts and European colonization of the Americas. The early modern period was characterized by profound changes in many realms of human endeavor. Among the most important include the development of science as a formalized practice, increasingly rapid technological progress, and the establishment of secularized civic politics, law courts and the nation state. Capitalist economies began to develop in a nascent form, first in the northern Italian republics such as Genoa and Venice and in the cities of the Low Countries, later in France, Germany and England. The early modern period also saw the rise and dominance of the economic theory of mercantilism. As such, the early modern period is often associated with the decline and eventual disappearance (at least in Western Europe) of feudalism and serfdom. The Protestant Reformation greatly altered the religious balance of Christendom, creating a formidable new opposition to the dominance of the Catholic Church, especially in Northern Europe. The early modern period also witnessed the circumnavigation of the Earth and the establishment of regular European contact with the Americas and South and East Asia. The ensuing rise of global systems of international economic, cultural and intellectual exchange played an important role in the development of capitalism and represents the earliest phase of globalization. Regardless of the precise dates used to define its beginning and end points, the early modern period is generally agreed to have comprised the Renaissance, the Reformation, the Scientific Revolution, and the Enlightenment. As such, historians have attributed a number of fundamental changes to the period, notably the increasingly rapid progress of science and technology, the secularization of politics, and the diminution of the absolute authority of the Roman Catholic Church as well as the lessening of the influence of all faiths upon national governments. Many historians have identified the early modern period as the epoch in which individuals began to think of themselves as belonging to a national polity—a notable break from medieval modes of self-identification, which had been largely based upon religion (belonging to a universal Christendom), language, or feudal allegiance (belonging to the manor or extended household of a particular magnate or lord). The invention of the first European movable type printing process by Johannes Gutenberg, a device that fundamentally changed the circulation of information. Movable type, which allowed individual characters to be arranged to form words and which is an invention separate from the printing press, had been invented earlier in China. The conquest of Constantinople by the Ottomans signalled the end of the Byzantine empire; the Battle of Castillon concluded the Hundred Years' War. The last Plantagenet king of England, Richard III, was killed at Bosworth and the medieval civil wars of aristocratic factions gave way to early modern Tudor monarchy, in the person of Henry VII. The first documented European voyage to the Americas by the Genoese explorer Christopher Columbus; the end of the Reconquista, with the final expulsion of the Moors from the Iberian Peninsula; the Spanish government expels the Jews. French king Charles VIII invaded Italy, drastically altering the status quo and beginning a series of wars which would punctuate the Italian Renaissance. First formulation of modern politics with the publication of Machiavelli's The Prince. The Reformation begins with Martin Luther nailing his ninety-five theses to the door of the church in Wittenberg, Germany. Ferdinand I, Holy Roman Emperor gains the crowns of Bohemia and Hungary. The Council of Trent marks the end of the medieval Roman Catholic Church. The end date of the early modern period is variously associated with the Industrial Revolution, which began in Britain in about 1750, or the beginning of the French Revolution in 1789, which drastically transformed the state of European politics and ushered in the Napoleonic Era and modern Europe. The role of nobles in the Feudal System had yielded to the notion of the Divine Right of Kings during the Middle Ages (in fact, this consolidation of power from the land-owning nobles to the titular monarchs was one of the most prominent themes of the Middle Ages). Among the most notable political changes included the abolition of serfdom and the crystallization of kingdoms into nation-states. Perhaps even more significantly, with the advent of the Reformation, the notion of Christendom as a unified political entity was destroyed. Many kings and rulers used this radical shift in the understanding of the world to further consolidate their sovereignty over their territories. For instance, many of the Germanic states (as well as English Reformation) converted to Protestantism in an attempt to slip out of the grasp of the Pope. 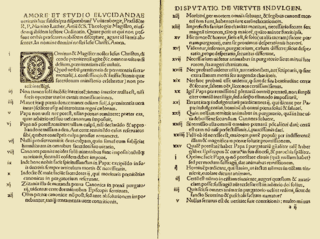 The intellectual developments of the period included the creation of the economic theory of mercantilism and the publication of enduringly influential works of political and social philosophy, such as Machiavelli's The Prince (1513) and Thomas More's Utopia (1515). The Protestant Reformation was a reform-oriented schism from the Roman Catholic Church initiated by Martin Luther and continued by John Calvin, Huldrych Zwingli, and other early Protestant Reformers. It is typically dated from 1517, lasting until the end of the Thirty Years' War (1618-1648) with the Peace of Westphalia in 1648. It was launched on 31 October 1517 by Martin Luther, who posted his 95 Theses criticizing the practice of indulgences to the door of the Castle Church in Wittenberg, Germany, commonly used to post notices to the University community. In was very widely publicized across Europe and caught fire. Luther began by criticizing the sale of indulgences, insisting that the Pope had no authority over purgatory and that the Catholic doctrine of the merits of the saints had no foundation in the gospel. The Protestant position, however, would come to incorporate doctrinal changes such as sola scriptura and sola fide. The Reformation ended in division and the establishment of new church movements. The four most important traditions to emerge directly from the Reformation were Lutheranism, the Reformed (also called Calvinist or Presbyterian) tradition, Anglicanism, and the Anabaptists. Subsequent Protestant churches generally trace their roots back to these initial four schools of the Reformation. It also led to the Catholic or Counter Reformation within the Roman Catholic Church through a variety of new spiritual movements, reforms of religious communities, the founding of seminaries, the clarification of Catholic theology as well as structural changes in the institution of the Church. The largest Protestant groups were the Lutherans and Calvinists. Lutheran churches were founded mostly in Germany, the Baltics and Scandinavia, while the Reformed ones were founded in Switzerland, Hungary, France, the Netherlands and Scotland. The initial movement within Germany diversified, and other reform impulses arose independently of Luther. The availability of the printing press provided the means for the rapid dissemination of religious materials in the vernacular. The core motivation behind the Reformation was theological, though many other factors played a part, including the rise of nationalism, the Western Schism that eroded faith in the Papacy, the perceived corruption of the Roman Curia, the impact of humanism, and the new learning of the Renaissance that questioned much traditional thought. There were also reformation movements throughout continental Europe known as the Radical Reformation, which gave rise to the Anabaptist, Moravian and other Pietistic movements. The Roman Catholic Church responded with a Counter-Reformation initiated by the Council of Trent. Much work in battling Protestantism was done by the well-organised new order of the Jesuits. In general, Northern Europe, with the exception of most of Ireland, came under the influence of Protestantism. Southern Europe remained Roman Catholic, while Central Europe was a site of a fierce conflict, culminating in the Thirty Years' War, which left it devastated. Henry VIII broke England's ties with the Catholic Church, becoming the sole head of the English Church. The Reformation reshaped the Church of England decisively after 1547. The separation of the Church of England (or Anglican Church) from Rome under Henry VIII, beginning in 1529 and completed in 1537, brought England alongside this broad Reformation movement; however, religious changes in the English national church proceeded more conservatively than elsewhere in Europe. Reformers in the Church of England alternated, for decades, between sympathies for ancient Catholic tradition and more Reformed principles, gradually developing, within the context of robustly Protestant doctrine, a tradition considered a middle way (via media) between the Roman Catholic and Protestant traditions. The following outcomes of the Protestant Reformation regarding human capital formation, the Protestant ethic, economic development, governance, and "dark" outcomes have been identified by scholars. Margaret C. Jacob argues that there has been a dramatic shift in the historiography of the Reformation. Until the 1960s, historians focused their attention largely on the great leaders and theologians of the 16th century, especially Luther, Calvin, and Zwingli. Their ideas were studied in depth. However, the rise of the new social history in the 1960s look at history from the bottom up, not from the top down. Historians began to concentrate on the values, beliefs and behavior of the people at large. She finds, "in contemporary scholarship, the Reformation is now seen as a vast cultural upheaval, a social and popular movement, textured and rich because of its diversity." The Age of Enlightenment refers to the 18th century in European philosophy, and is often thought of as part of a period which includes the Age of Reason. The term also more specifically refers to a historical intellectual movement, The Enlightenment. This movement advocated rationality as a means to establish an authoritative system of aesthetics, ethics, and logic. The intellectual leaders of this movement regarded themselves as a courageous elite, and regarded their purpose as one of leading the world toward progress and out of a long period of doubtful tradition, full of irrationality, superstition, and tyranny, which they believed began during a historical period they called the Dark Ages. This movement also provided a framework for the American and French Revolutions, the Latin American independence movement, and the Polish–Lithuanian Commonwealth Constitution of May 3, and also led to the rise of liberalism and the birth of socialism and communism. It is matched by the high baroque and classical eras in music, and the neo-classical period in the arts, and receives contemporary application in the unity of science movement which includes logical positivism. The expression "early modern" is sometimes used as a substitute for the term Renaissance, and vice versa. However, "Renaissance" is properly used in relation to a diverse series of cultural developments; which occurred over several hundred years in many different parts of Europe—especially central and northern Italy—and span the transition from late Medieval civilization and the opening of the early modern period. The term early modern is most often applied to Europe, and its overseas empire. However, it has also been employed in the history of the Ottoman Empire. In the historiography of Japan, the Edo period from 1590 to 1868 is also sometimes referred to as the early modern period. prolific in genius, in common sense, and in organizing ability. It could properly have been expected that intelligence, comprehension and high purpose would be applied to the control of human relations in general and to the relations between states and peoples in particular. The fact was almost completely opposite. It was a period of marked unintelligence, immorality and frivolity in the conduct of international relations, marked by wars undertaken for dimly conceived purposes, waged with the utmost brutality and conducted by reckless betrayals of allies. The worst came during the Thirty Years' War, 1618-1648, which had an extremely negative impact on the civilian population of Germany and surrounding areas, with massive loss of life and disruption of the economy and society. Treaty of Westphalia allowed Calvinism to be freely exercised. The Reformation led to a series of religious wars that culminated in the Thirty Years' War (1618–1648), which devastated much of Germany, killing between 25% and 40% of its entire population. Roman Catholic House of Habsburg and its allies fought against the Protestant princes of Germany, supported at various times by Denmark, Sweden and France. The Habsburgs, who ruled Spain, Austria, the Crown of Bohemia, Hungary, Slovene Lands, the Spanish Netherlands and much of Germany and Italy, were staunch defenders of the Roman Catholic Church. Some historians believe that the era of the Reformation came to a close when Roman Catholic France allied itself with Protestant states against the Habsburg dynasty. For the first time since the days of Martin Luther, political and national convictions again outweighed religious convictions in Europe. All parties would now recognise the Peace of Augsburg of 1555, by which each prince would have the right to determine the religion of his own state, the options being Roman Catholicism, Lutheranism, and now Calvinism (the principle of cuius regio, eius religio). Diplomacy before 1700 was not well developed, and chances to avoid wars were too often squandered. In England, for example, King Charles II paid little attention to diplomacy, which proved disastrous. During the Dutch war of 1665-67, England had no diplomats stationed in Denmark or Sweden. When King Charles realized he needed them as allies, he sent special missions that were uninformed about local political, military, and diplomatic situations, and were ignorant of personalities and political factionalism. Ignorance produced a series of blunders that ruined their efforts to find allies. King Louis XIV of France, by contrast, developed the most sophisticated diplomatic service, with permanent ambassadors and lesser ministers in major and minor capitals, all preparing steady streams of information and advice to Paris. Diplomacy became a career that proved highly attack attractive to rich senior aristocrats who enjoyed very high society at royal courts, especially because they carried the status of the most powerful nation in Europe. Increasingly, other nations copied the French model; French became the language of diplomacy, replacing Latin. By 1700, the British and the Dutch, with small land armies, large navies, and large treasuries, used astute diplomacy to build alliances, subsidizing as needed land powers to fight on their side, or as in the case of the Hessians, hiring regiments of soldiers from mercenary princes in small countries. The balance of power was very delicately calculated, so that winning a battle here was worth the slice of territory there, with no regard to the wishes of the inhabitants. Important peacemaking conferences at Utrecht (1713), Vienna (1738), Aix-la-Chapelle (1748) and Paris (1763) had a cheerful, cynical, game-like atmosphere in which professional diplomats cashed in victories like casino chips in exchange for territory. In 1492 the Catholic Monarchs of Castile and Aragon funded Christopher Columbus's plan to sail west to reach the Indies by crossing the Atlantic. He landed on a continent uncharted by Europeans and seen as a new world, the Americas. To prevent conflict between Portugal and Castile (the crown under which Columbus made the voyage), the Treaty of Tordesillas was signed dividing the world into two regions of exploration, where each had exclusive rights to claim newly discovered lands.. The structure of the Spanish Empire was established under the Spanish Hapsburgs (1516–1700) and under the Spanish Bourbon monarchs, the empire was brought under greater crown control and increased its revenues from the Indies. The crown's authority in The Indies was enlarged by the papal grant of powers of patronage, giving it power in the religious sphere. Under Philip, Spain, rather than the Hapsburg empire, was identified as the most powerful nation in the world, easily eclipsing France and England. Furthermore, despite attacks from other European states, Spain retained its position of dominance with apparent ease. The Battle of Pavia (1525) marked the beginning of Spanish dominance in Italy. Spain's claims to Naples and Sicily in southern Italy dated back to the 15th century, but had been marred by rival claims until the mid-16th century. While Venice, the Papal States, Este, and Savoy retained their independence, the rest of the Italian Peninsula either became part of the Spanish Empire or looked to it for protection. There would be no Italian revolts against Spanish rule until 1647. The death of the Ottoman emperor Suleiman the Magnificent in 1566 and the naval victory over the Ottoman Empire at the Battle of Lepanto in 1571 gave Spain a claim to be the greatest power not just in Europe but also in the world. The Spanish Empire comprised territories and colonies of the Spanish Monarch in the Americas, Asia (Spanish Philippines), Europe and some territories in Africa and Oceania. The Ancien Régime (French for "old regime") was the political and social system of the Kingdom of France from the about 1450 until the |French Revolution that started in 1789. The Ancien Régime was ruled by the late Valois and Bourbon dynasties. Much of the medieval political centralization of France had been lost in the Hundred Years' War, and the Valois Dynasty's attempts at re-establishing control over the scattered political centres of the country were hindered by the Huguenot Wars (or Wars of Religion). 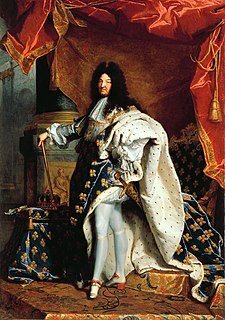 Much of the reigns of Henry IV, Louis XIII and the early years of Louis XIV were focused on administrative centralisation. Despite, however, the notion of "absolute monarchy" (typified by the king's right to issue lettres de cachet) and the efforts by the kings to create a centralized state, Ancien Régime France remained a country of systemic irregularities: administrative (including taxation), legal, judicial, and ecclesiastic divisions and prerogatives frequently overlapped, while the French nobility struggled to maintain their own rights in the matters of local government and justice, and powerful internal conflicts (like the Fronde) protested against this centralization. The need for centralization in this period was directly linked to the question of royal finances and the ability to wage war. The internal conflicts and dynastic crises of the 16th and 17th centuries (the Huguenot Wars between Catholics and Protestants and the Habsburg's internal family conflict) and the territorial expansion of France in the 17th century demanded great sums which needed to be raised through taxes, such as the land tax (taille) and the tax on salt (gabelle) and by contributions of men and service from the nobility. Tne key to this centralization was the replacing of personal patronage systems organized around the king and other nobles by institutional systems around the state. The creation of intendants—representatives of royal power in the provinces—did much to undermine local control by regional nobles. The same was true of the greater reliance shown by the royal court on the "noblesse de robe" as judges and royal counselors. The creation of regional parlements had initially the same goal of facilitating the introduction of royal power into newly assimilated territories, but as the parlements gained in self-assurance, they began to be sources of disunity. This period refers to England 1558–1603. The Elizabethan Era is the period associated with the reign of Queen Elizabeth I (1558–1603) and was a golden age in English cultural history. It was the height of the English Renaissance, and saw the flowering of English literature and poetry. This was also the time during which Elizabethan theatre grew. William Shakespeare, among others, composed highly innovative and powerful plays. It was an age of expansion and exploration abroad. At home the Protestant Reformation was established and successfully defended against the Catholic powers of Spain and France. The Jacobean era was the reign James I of England (1603–1625). Overseas exploration and establishment of trading factories sped up, with the first permanent settlements in North America at Jamestown, Virginia in 1607, in Newfoundland in 1610, and at Plymouth Colony in Massachusetts in 1620. One king now ruled England and Scotland; the latter was fully absorbed by the Acts of Union 1707. The tumultuous Caroline era was the reign of King Charles I (1625–1645), followed by his beheading by Oliver Cromwell's regime in 1649 . The Caroline era was dominated by the growing religious, political, and social conflict between the King and his supporters, termed the Royalist party, and the Puritan opposition that evolved in response to particular aspects of Charles' rule. The colonization of North America continued apace, with new colonies in Maryland (1634), Connecticut (1635), and Rhode Island (1636). Much like the rest of Europe in the early modern period Spain followed clearly differentiated gender roles. These roles came from many places, such as biblical references, church practices, and in the case of women, manuals such as Fray Luis de León's La Perfecta Casada. Under the rule of Elizabeth, gender dynamics were altered. The masculine tournaments of Henry VIII's rule were "transformed into a vehicle for spectacular display and expanded the masque-like elements." It was generally regarded as a show rather than an actual military practice as they were viewed under Henry. ^ Andrew Johnston, The protestant reformation in Europe (Routledge, 2014). ^ George Huntston Williams, The Radical Reformation (3rd ed, 2000). ^ A.D. Wright, The Counter-Reformation: Catholic Europe and the Non-Christian World (Ashgate, 2005). ^ A.G. Dickens, The English Reformation (1991). ^ Margaret C. Jacob (1991). Living the Enlightenment: Freemasonry and Politics in Eighteenth-Century Europe. p. 215. ^ Bax, Ernest Belfort. "Gracchus Babeuf and the Conspiracy of the Equals", 1911 , accessed June 12, 2011. ^ Frederick L. Nussbaum, The triumph of science and reason, 1660-1685 (1953) pp 147-48. ^ Norman Davies, Europe: A History (1996) p 593-94. ^ Scott Hamish, book review in English Historical Review (Oct 2013) pp 1239-1241. ^ J.R. Jones, Britain and the World: 1649-1815 (1980), pp 38-39. ^ Gaston Zeller, "French diplomacy and foreign policy in their European setting." in Carsten, ed., The New Cambridge Modern History vol 5 (1961) p 198-99, 206. ^ Charles W. Ingrao, The Hessian mercenary state: ideas, institutions, and reform under Frederick II, 1760-1785 (2003). ^ Davies, Europe (1996) pp 581-82. ^ Edward Gaylord Bourne, The History and Determination of the Line of Demarcation Established by Pope Alexander VI Between the Spanish and Portuguese Fields of Discovery and Colonization (1892) online in Gutenberg.org. ^ Tracy, James D. (1993). The Rise of Merchant Empires: Long-Distance Trade in the Early Modern World, 1350–1750. Cambridge University Press. p. 35. ISBN 978-0-521-45735-4. ^ Lynch, John. Bourbon Spain, 1700-1808. Oxford: Blackwell Publishers 1989, p. 21. ^ Schwaller, John F., "Patronato Real" in Encyclopedia of Latin American History and Culture vol. 4, pp. 323–24. ^ Mecham, J. Lloyd, Church and State in Latin America: A History of Politico-Ecclesiastical Relations, revised edition. Chapel Hill: University of North Carolina Press 1966, pp. 4–6. ^ Haring, Clarence, The Spanish Empire in America. New York: Oxford University Press 1947, pp. 181–82. ^ See William Doyle, ed. The Oxford Handbook of the Ancien Régime (2012) 656pp excerpt and text search. ^ Emmanuel Le Roy Ladurie, The Ancien Regime: A History of France 1610–1774 (1999), political survey excerpt and text search. ^ Godfrey Davies, The Early Stuarts, 1603-1660 (Oxford UP, 1959). ^ a b Soyer, Francois (2012). Ambiguous Gender in Early Modern Spain and Portugal: Inquisitors, Doctors and the Transgression of Gender Norms. Boston: Brill. p. 17. ISBN 9789004225299. ^ de Leon, Fray Luis. "La Perfecta Casada" (PDF). Biblioteca Virtual Universal. ^ Watson, Sara Ruth (1935-01-01). "An Elizabethan Tournament". PMLA. 50 (3): 920–922. doi:10.2307/458230. JSTOR 458230. Rice, Eugene, F., Jr. (1970). The Foundations of Early Modern Europe: 1460-1559. W.W. Norton & Co.
Gatti, Hilary. Ideas of Liberty in Early Modern Europe (2015). Hesmyr, Atle: Scandinavia in the Early Modern Era(2017). Jacob, Margaret C. Strangers nowhere in the world: the rise of cosmopolitanism in early modern Europe (2017). Kennedy, Paul. The rise and fall of the great powers (2010). Nussbaum, Frederick L. The triumph of science and reason, 1660-1685 (1953), Despite the narrow title is a general survey of European history. Scott, Hamish, ed. The Oxford Handbook of Early Modern European History, 1350-1750: Volume I: Peoples and Place (2015); Volume II: Cultures and Power (2015). Christendom has several meanings. In one contemporary sense, as used in a secular or Protestant context, it may refer to the "Christian world": Christian-majority countries and the countries in which Christianity dominates or prevails, or, in the historic, Catholic sense of the word, the nations in which Catholic Christianity is the established religion, having a Catholic Christian polity. The Reformation was a movement within Western Christianity in 16th-century Europe that posed a religious and political challenge to the Roman Catholic church – and papal authority in particular. Although the Reformation is usually considered to have started with the publication of the Ninety-five Theses by Martin Luther in 1517, there was no schism between the Catholics and the nascent Lutheran branch until the 1521 Edict of Worms. 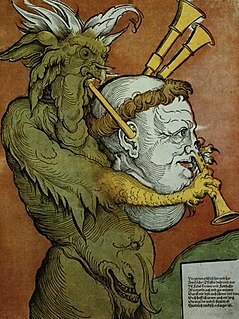 The edict condemned Luther and officially banned citizens of the Holy Roman Empire from defending or propagating his ideas. The end of the Reformation era is disputed: it could be considered to end with the enactment of the confessions of faith which began the Age of Orthodoxy. Other suggested ending years relate to the Counter-Reformation, the Peace of Westphalia, or that it never ended since there are still Protestants today. The Schmalkaldic League ; was a military alliance of Lutheran princes within the Holy Roman Empire during the mid-16th century. Although originally started for religious motives soon after the start of the Reformation, its members later came to have the intention that the League would replace the Holy Roman Empire as their focus of political allegiance. While it was not the first alliance of its kind, unlike previous formations, such as the League of Torgau, the Schmalkaldic League had a substantial military to defend its political and religious interests. It received its name from the town of Schmalkalden, which is located in modern Thuringia. The Story of Civilization, by husband and wife Will and Ariel Durant, is an 11-volume set of books covering Western history for the general reader. Anti-Protestantism is bias, hatred or distrust against some or all branches of Protestantism and its followers. The Ancien Régime was the political and social system of the Kingdom of France from the Late Middle Ages until 1789, when hereditary monarchy and the feudal system of French nobility were abolished by the French Revolution. 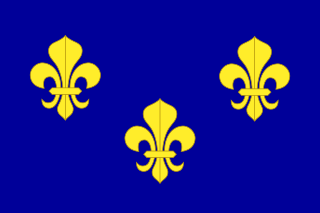 The Ancien Régime was ruled by the late Valois and Bourbon dynasties. The term is occasionally used to refer to the similar feudal systems of the time elsewhere in Europe. The administrative and social structures of the Ancien Régime were the result of years of state-building, legislative acts, internal conflicts, and civil wars, but they remained and the Valois Dynasty's attempts at re-establishing control over the scattered political centres of the country were hindered by the Huguenot Wars. Much of the reigns of Henry IV and Louis XIII and the early years of Louis XIV were focused on administrative centralization. Despite, however, the notion of "absolute monarchy" and the efforts by the kings to create a centralized state, the Kingdom of France retained its irregularities: authority regularly overlapped and nobles struggled to retain autonomy. The European wars of religion were a series of religious wars waged in Europe in the 16th, 17th and early 18th century. The wars were fought after the Protestant Reformation's beginning in 1517, which disrupted the religious and political order in the Catholic countries of Europe. However, religion was not the only cause of the wars, which also included revolts, territorial ambitions, and Great Power conflicts. For example, by the end of the Thirty Years' War (1618–1648), Catholic France was allied with the Protestant forces against the Catholic Habsburg monarchy. The wars were largely ended by the Peace of Westphalia (1648), establishing a new political order that is now known as Westphalian sovereignty. However, religion-based armed conflict persisted in Europe, such as the Wars of the Three Kingdoms (1639—1651) on the British Isles and the Savoyard–Waldensian wars (1655–1690) and Toggenburg War (1712) in the Western Alps, until the 1710s. 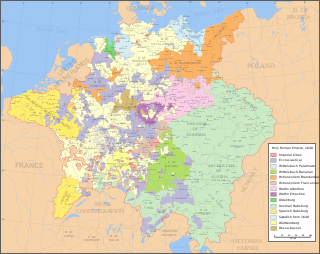 The German-speaking states in the early modern period (1500–1800) were divided politically and religiously. They all suffered greatly in the Thirty Years War (1618–1648). Catholic Austria and Lutheran Prussia were the major players. In 16th-century Christianity, Protestantism came to the forefront and marked a significant change in the Christian world.